PSX Tekken 3 (JPN) in 01:49.73 by Spikestuff. This is an improvement of 25.41 seconds over the previous movie, thanks to setting the game to 1 Round and mainly focusing on ingame time. 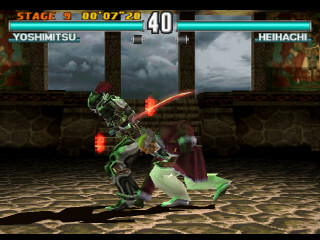 Like in the run of Tekken 2 and the previous publication, this TAS by Spikestuff uses Yoshimitsu to take out every opponent as fast as possible. Depending on your familiarity with the character, the strategy used here may surprise you. Note: The credits are missing due to an emulator glitch.